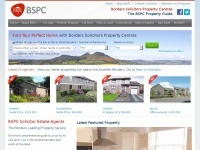 BSPC, the Borders Solicitors Property Centre is the largest network of property agents in the Scottish Borders. BSPC is specified as the websites creator. In total 4 links were found which refer to Bspc.co.uk. 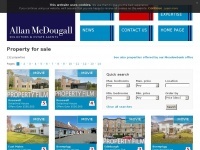 Individual words like Centre, Property, Solicitors and Border are frequently used in text links from other websites. 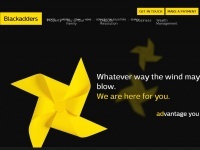 The most important link sources for this website are Sspc.co.uk and Edingtonlaw.co.uk. The homepage of Bspc.co.uk and the subsite are most referenced by other websites. The table shows the most important links to Bspc.co.uk. The table is sorted in descending order by importance. The table shows websites of Bspc.co.uk, which are often linked by other websites and therefore they are classified as important content. 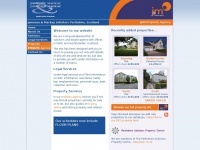 Blms.org.uk - BLMS – Landlord and pro­perty manage­ment, resi­den­tial ..
Jamesonmackay.co.uk - Jame­son & Ma­ckay Solicitors and Esta­te Agents ..
Amcdproperty.co.uk - Pro­perty for sale in Edin­burgh, Lot­hians and ..
Blackhay.co.uk - Ayrshi­re esta­te a­gents solicitors le­gal fi­nan­cial ..